One should never underestimate the power (or the wallets) of anime fans. 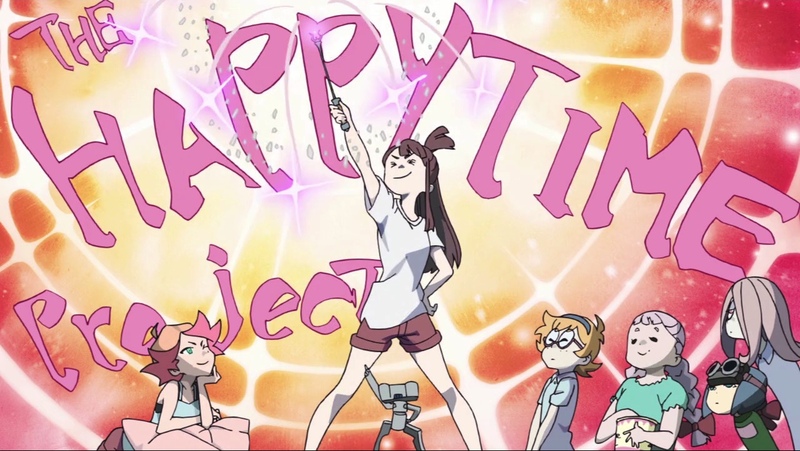 When studio Trigger announced that they would be producing a follow-up to their extremely well received Anime Mirai 2013 short Little Witch Academia, fans rejoiced. However when they also announced that they would be launching a Kickstarter campaign to raise funds to bring the sequel's run time up to 50 minutes, that's when things got interesting. Not only did the campaign meet its $150,000 goal in a mere five hours, but it also met it's $500,000 stretch goal to have a 'making of' documentary and audio commentary produced for the eventual Blu-ray release - finishing on a grand total of $625,518. 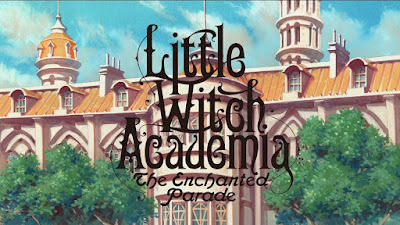 Co-distributed with Good Smile Company and making its premiere at Anime Expo 2015, Little Witch Academia: The Enchanted Parade is arguably anime's biggest venture into crowdfunding yet. Akko's back and daydreamier than ever! Set sometime after the events of the first short, student witches Akko, Lotte and Sucy have settled back into their regular lives at Luna Nova Magical Academy. But when their clashing personalities lead to a rather large mishap in the classroom, the girls are punished with the task of organising the annual parade remembering the role of witches in the town’s history. 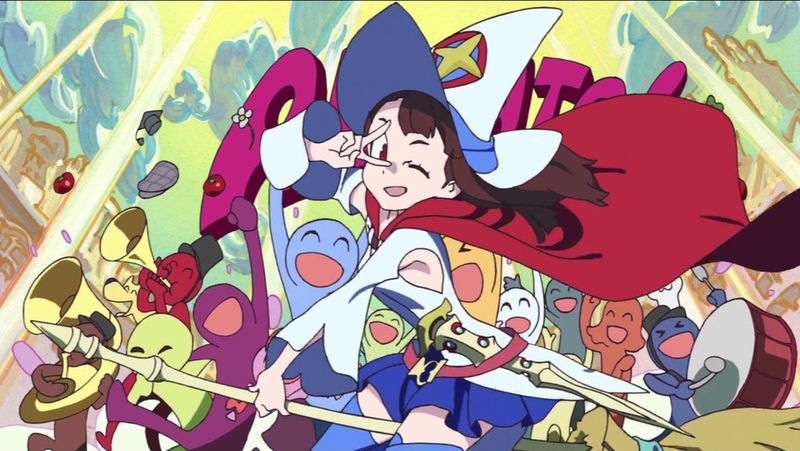 Not wanting witches to be remembered for being persecuted, Akko sets about creating a new parade which will show the townspeople just how great witches really are. Teaming up with three more of the school’s delinquents, the girls set about on bringing Akko’s vision to fruition. However it isn’t long before squabbling tears the girls apart, and Akko is left on her own to prepare this extravaganza. 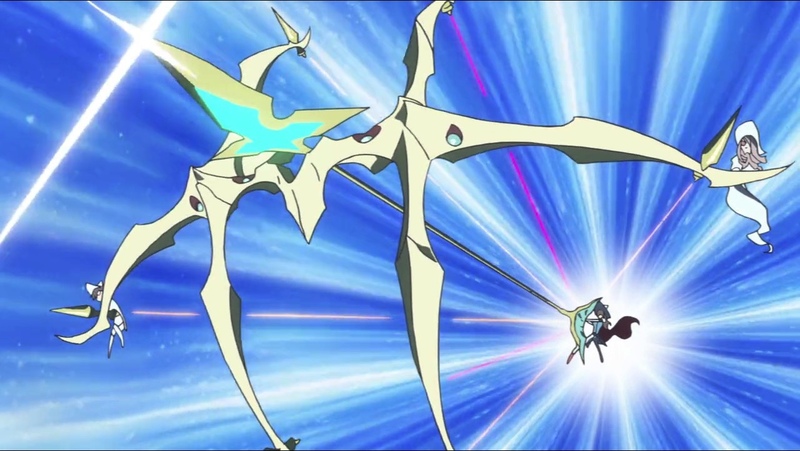 In order to pull it off, Akko turns to Shiny Chariot for inspiration once more – the magical entertainer who inspired her to become a witch in the first place. Welcome back to the wizarding witching world of Harry Potter Little Witch Academia! And you’ll quickly find that not much has changed since we last visited Luna Nova – in fact sometimes it’s easy to forget that the events of the first short even happened at all. Akko’s use of the Shiny Rod and defeat of the dragon has been chalked down to a one-time fluke, with her status in the school being just as it was before that dazzling moment. In a sense it’s quite refreshing that such a big moment has instantly elevated Akko above her peers, but at the same time it does get a little frustrating when prize pupil Diana waltzes in and pulls exactly the same routine she was pulling at the beginning of the first short. The Enchanted Parade also offers a more human element to the relationships between Akko, Lotte and Sucy – with them seemingly spending more time arguing/apart in this film than as a unit. The lack of Lotte and Sucy is somewhat balanced by the introduction of three new characters – high-flying thief Amanda O’Neill, gluttonous Constance Braunschweig Albrechtsburger and magical techie Jasmineka Antonenko. While the latter two do little more than insert forgettable overdone stereotypes into the mix, Amanda is at least a worthy addition to the cast in the visual sense. While that might instantly sound like I’m referring to fanservice, what I actually mean is her impressive broom handling abilities which add some dynamic to the more fast paced scenes and offset Akko’s inability with a broom. Of course she also does dance rather provocatively, so the fanservice element is there even if it is kept relatively tame. So with around 20-30 minutes extra run time to play about with, the focus instead goes on building the world the cast of Little Witch Academia inhabit. For the first time we’re properly introduced to life outside of Luna Nova, and can see that witches aren’t exactly a favourite of the common folk. The real life witch hunts of old play quite cleverly into the overall plot (without going to in-depth about their severity), which is also brought into the present by the hostile reaction to magic from both the town's mayor and the town's male youths. But it's the scenery that really takes the prize here. The first short gave us the tall spires of Luna Nova's castle, and The Enchanted Parade in turn gives us the fantastical aesthetics of the wider world. Not in the magical sense, but via all the various architecture and aesthetics the designers have drawn upon to create something that both does and doesn't feel realistic. It's as if the world jumped straight out of a fairytale, and honestly couldn't fit Little Witch Academia any better. 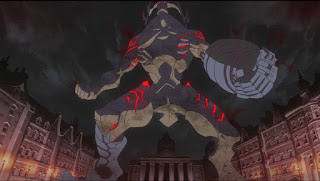 The big finale brings back in familiar territory as another magical monster wreaks havoc and the only way to stop it is with an oversized crossbow, however this time there’s a golem-like creature taking the place of the dragon. As expected this is the main area where the animators at Trigger get to strut their stuff, providing imagination in regards to their character and spectacularly-fluid action sequences. The climax is a nice spin on the events of the original, with the girls having to work together to bring down the creature instead of it mostly coming down to Akko. 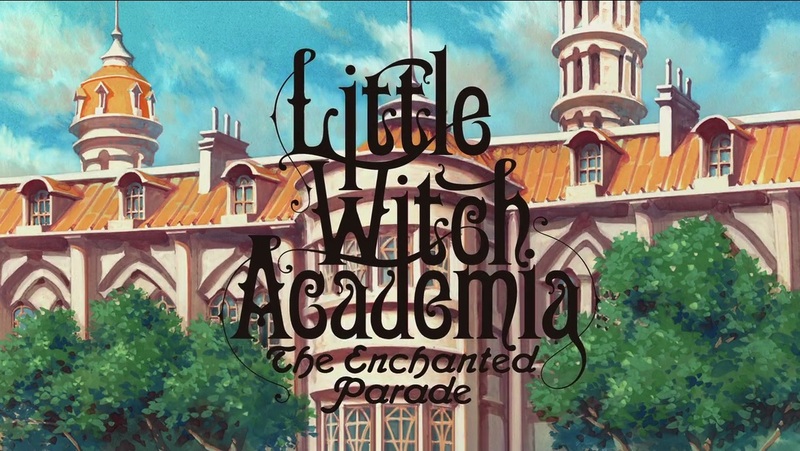 It’s certainly the highlight of The Enchanted Parade, and manages throws a good bit of life into the production after a relatively lagging middle section. 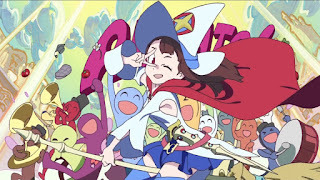 Despite lacking some of the magic that made the first Little Witch Academia so enchanting (completely unintentional puns I swear), The Enchanted Parade is still a solid sequel that delivers what the its many backers paid for. The gradual building up of this witching world proves that there is still plenty of story to tell, and with Trigger still short on its number of iconic productions it would be a real shame if this was the last we saw of them.